Securities and Investment Advisory Services offered through The Leaders Group, Inc. (TLG), Securities Dealer. Member FINRA/SIPC. 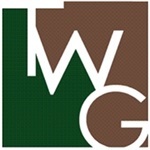 TLG Advisors, Inc., 26 Dry Creek Circle, Suite 800, Littleton, Colorado, 80120, 303-797-9080. The Wadsworth Group is unlicensed to conduct business.